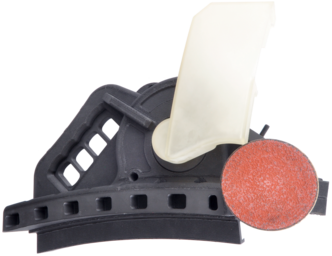 Siemens Gas & Power division printed a custom circular saw housing in Onyx to repair gas turbines in the field, combining off-the-shelf parts such as the motor and blade. Siemens Gas & Power keeps thousands of homes and businesses up and running. The Gas & Power division — one of three Siemens operating companies — owns compressors, turbines, and generators across the globe. When gas turbine housings need repairing, engineers at the Siemens Gas & Power division need to efficiently cut into them with a circular saw to maintenance the system. Since the housings have a complex contoured design, a standard flat-plated circular saw does not suffice. In the past, the team remedied this by purchasing standard circular saws, shipping them to job shops in the Philippines for custom contoured plates, and then shipping them back to the United States for reassembly. This was not a scalable solution, as engineers would wait more than 3 weeks to receive their customized hand tools. Siemens Gas & Power has utilized its Markforged Metal X printer for several metal applications. “Not only can we make necessary custom tooling, but also parts we haven’t been able to produce with traditional methods of manufacturing." 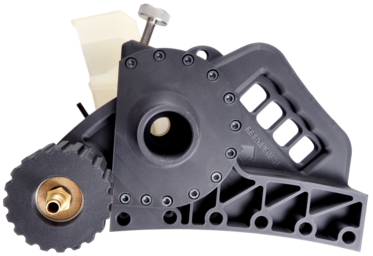 Siemens’ circular saw housing was printed in Onyx, a nylon base with chopped carbon fiber. to use Markforged’s industrial composite X7 printer after deeming it the best option for the job. “We bought an off-the-shelf motor and blade, but everything else was custom built,” said Siemens Gas & Power engineer Sam Dicpetris. The parts were initially tested in Onyx — a nylon base with chopped carbon fiber — and then reinforced with continuous carbon fiber to stiffen the structure. With the printed saw, turbine repairs in the field now take a matter of days instead of weeks. “We can cut and make a tool that fits the exact contour of the things we’re trying to cut, which is different from anything that you can buy off the shelf,” Dicpetris says. 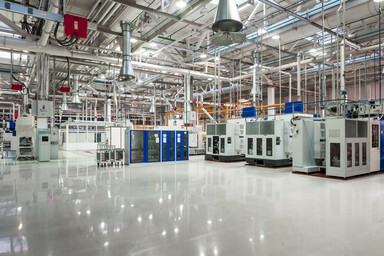 Siemens Gas & Power not only reduced the time to make these tools from weeks to days, but also saved money while remaining cutting edge in a competitive industry. Dicpetris estimates the team saved over $8,000 from only this one custom circular saw, as well as hundreds of thousands of dollars on other applications. Once the engineering team had tackled this project, they began to adopt a design for additive manufacturing (DFAM) approach to problem solving. Now, engineers at Siemens Gas & Power first look to 3D printed parts over traditionally fabricated components when needed. "The carbon fiber strength is really, really impressive. When you have a plastic part that feels and looks like a plastic part, but it has this internal strength of something much different, it sets everybody up for a shock." The circular saw housing, which would have taken weeks to be fabricated and assembled, took only a few days. With over 100 engineers using Markforged technology, Siemens Gas & Power engineers aren’t slowing down. These engineers are constantly exploring new applications — such as modular fixtures for turbine blades — to enhance their product line and workstream. Their printers are running almost 24/7, with little to no downtime. The company has also utilized its Metal X to create custom one-off parts. Their trusted external machine shop is also adding a Metal X internally to keep up with the company’s need for fast turnaround on metal components. 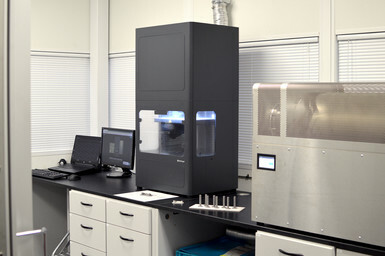 Next47 (the Siemens-backed global venture firm) believes in Markforged’s technology and the people behind it, and have invested in the company while it continues to grow.